The family members are posed in order of seniority, left to right. 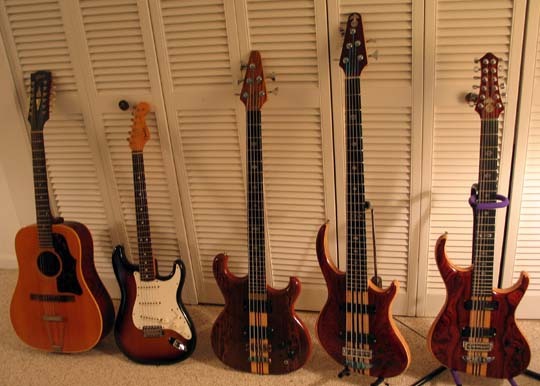 First is a Gibson B-45-12 (May 1966); second is a Fender Strat (September 1981); third is Spoiler (March 2005); fourth is a Rogue (February 2006); fifth is a Spectrum 12 (June 2007). I think I'm done :-)!